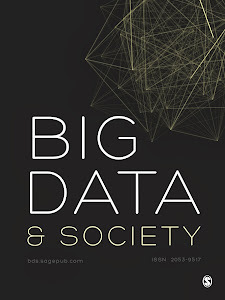 It is well established that the advent of big data brings with it new and opaque regimes of population management, control, discrimination and exclusion. The expansion of data mining practices of major social media corporations and the recent activities of the National Security Agency (NSA) in the US and Government Communications Headquarters (GCHQ) in the UK rightly gives rise to critical claims about systematic surveillance, privacy invasion and inequality. These serious developments notwithstanding, this special issue shows how these troubling consequences are not the whole story of our datafied times. At the same time as big business and big government embrace the capacities of dataveillance, small-scale public organisations, community groups and activists are experimenting with the possibilities of datafication, pursuing objectives which are distinct from those of big brother’s uses of big data. Datafication refers to the process of rendering into data aspects of the world not previously quantified. This means not just demographic or profiling data, but also behavioral meta-data, such as those automatically derived from smartphones, like time stamps and GPS-inferred locations. While such data are often used for surveillance purposes, they can also be employed towards other ends. In this light, datafication can be understood not only as collecting and analysing data about internet users, but also as feeding such metrics back to users, enabling them to orient themselves in the world. Moreover, data can be generated, collected and analysed by alternative actors to enhance rather than undermine the agency of the public. Indeed, it is precisely because the massive flows of data circulating between devices, institutions, industries and users usher in new and troubling practices of dataveillance that it becomes vital to reflect on whether there are alternative forms of big data, forms which enable the less powerful to act with agency in the face of the rise of data power. The questions at the heart of this special theme on Data and Agency reflect the tension between big data structures and citizen agency, between control and resistance. The five articles consider the relations between datafication, the possibility of agency, and the spaces in between. At the same time, the contributions seek to combine critical perspectives on datafication with perspectives of actors within data mining practices. The aim is to enrich our understanding of data and datafication, by bringing together structural analyses with recognition of individual agency in the context of these structures. The various contributions demonstrate that agency, in the context of Big Data, is a complex and multifaceted concept. It encompasses many kinds of users and many kinds of data contexts. Data subjects may be citizens or consumers, professionals or amateurs, conscious hackers or unwitting bystanders as data streams increasingly direct our everyday lives. As data acquire new power, it is especially important that we understand citizen agency. To participate in datafied social, political, cultural and civic life, ordinary people need to understand what happens to their data, the consequences of its analysis, and the ways in which data-driven operations affect us all. Such empirical inquiries should open up new avenues to think critically and creatively about ways in which datafication can be repurposed and redirected to enhance rather than undermine citizenship.